Yogis Special Biryani on Every Saturday. A++ Highly recommended. Authentic Indian food which beats any restaurant that I have ever visited in Metro Vancouver area.Love how easy it is to pick your own meals online. Hard to imagine you can get door step delivery in this price! Try it! Amazing home like food with timely delivery. We tried Yogi's Kitchen for the first time yesterday and the food was great, freshly cooked, very tasty and well presented. The delivery was on time and my interactions with their customer service team had been great. Overall a good meal and great value. Great food. Service is awesome. Chicken is high quality. They co-operate in every possible way to satify customer needs like delivery address. 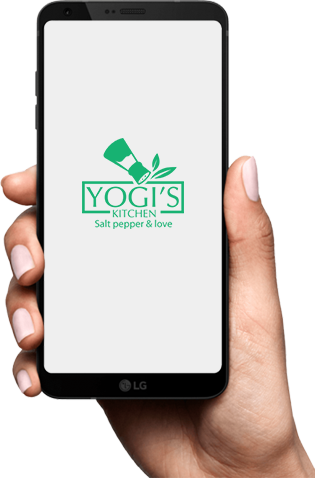 You can now sign up, login, place orders and enjoy the amazing features and services of Yogi on the go. Download our App from Playstore or Appstore on Android or iOS device respectively.